It can be described as the intersection of chemistry and the appetite. Last week our local science museum created a special Science Salon to highlight cooking as alchemy. I’ll admit straight up that as a slow foodist, I was skeptical however, the journey that Josh Hebert, Chef and Owner of POSH “Improvisational Cuisine” was remarkable. Josh, who proclaimed straight away that he’d failed chemistry, took us on a culinary tour which highlighted his own career and demonstrated for us, the application of both scientific and artistic principles in cuisine. Clearly what drew me in was his passion for a topic that I know little about and the tasting. This interesting branch of culinary art really focuses on form, presentation and taste. And, due to Josh’s experience working in Japan, he has a particular emphasis on eating seasonally. This style of meal preparation is referred to as improvisational cuisine because when you sit down at his restaurant, you’re simply given a list of ingredients. From there, you cross off anything you’re not interested in eating, choose how many courses you want and indicate any other food dislikes or allergies, such as peanuts or goat cheese. They make sure not to serve you any of those items. This food pioneer has a well trodden resume including executive chef at one of my local favorites Tarbells, a stint at San Francisco’s famous Zuni Café and he was also responsible for opening the Café California in Tokyo, Japan. I can’t say that I’ll ever try to replicate this style of cooking or that I’ll be a weekly diner but the presentation was truly impressive. Josh has a fantastic demeanor and speaks from his heart. He’s comfortable demonstrating his craft with an audience and does so with finesse and humor. 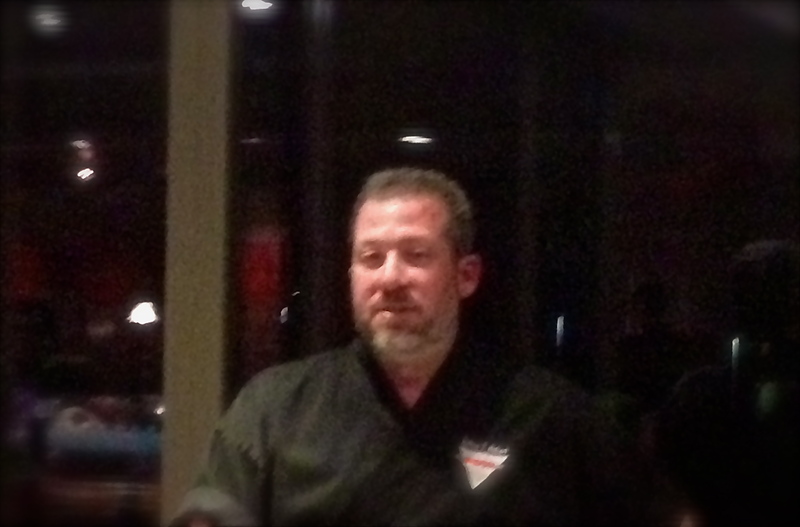 He also peppers the monologue with information about a few of his own favorites such as monkfish liver. Eww! Personally I enjoyed the vegan ricotta crafted from coconut. 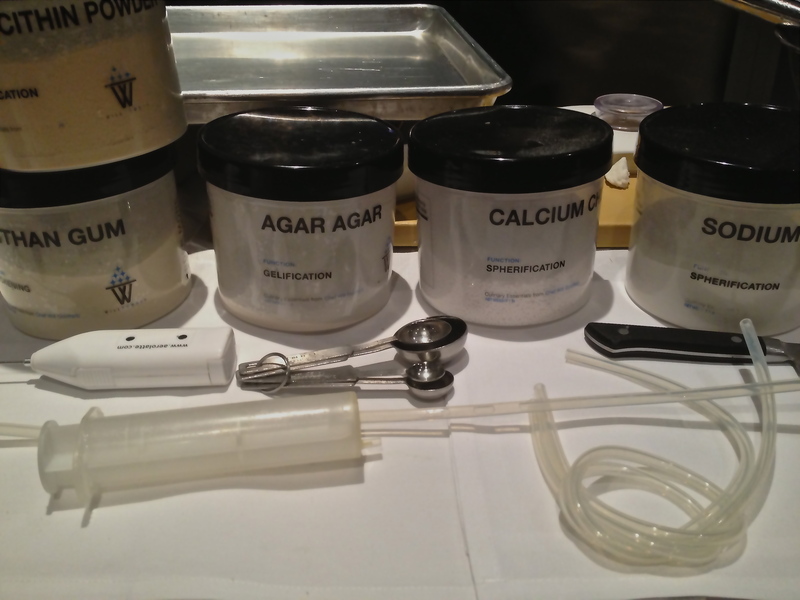 For those experts in molecular gastronomy, the menus are often set up as personal challenges. For example, take kalamata olives, dry them, pulverize them, reconstitute them into a paste and then, create olives from the mixture. Sounds like a lot of work? Again, it is viewed as a scientific experiment bred into an art form. And clearly, these chefs are having great fun at both! I’ve seen this on the Food Network. Most of the food doesn’t appeal to me . . . but it is fun to watch them playing. They are so dedicated to this form of food as art and as I mentioned, Josh’s interest in eating seasonally, is wonderful. It is just that – a fun day out. I’ll bet you have some of this where you live Charlie. You find us the most interesting things, Tammy! I hadn’t seen this before and think you are way brave to go out try eating what they’ve created. haha! It does sound and look amazing though! It was just a “tasting” and a lot of fun. I have read of this and tasted, actually some noodles created this way. I am curious how you found the food on presentation and taste? Fun topic and you do keep us interested and informed! It was fun. I think “interesting” is the way to describe it. The equipment to perform this style is quite expensive. They have a table that freezes things instantly and it was fun for making popsicles. Makes me think back to the days of Tang and astronaut food (though I’m sure this looks and tastes better). I probably wouldn’t get into this either–but the “salmon roe” looking dessert would be quite pretty dressed up with something green for Christmas. It is a tasting delight – so intriguing. Definitely the right thing for a special night out. Hi Tammy, I have sampled a few “molecular” delights at The Catbird Seat in Nashville. It’s fascinating, and can be extremely flavorful–although unlikely that I will cook in that direction. 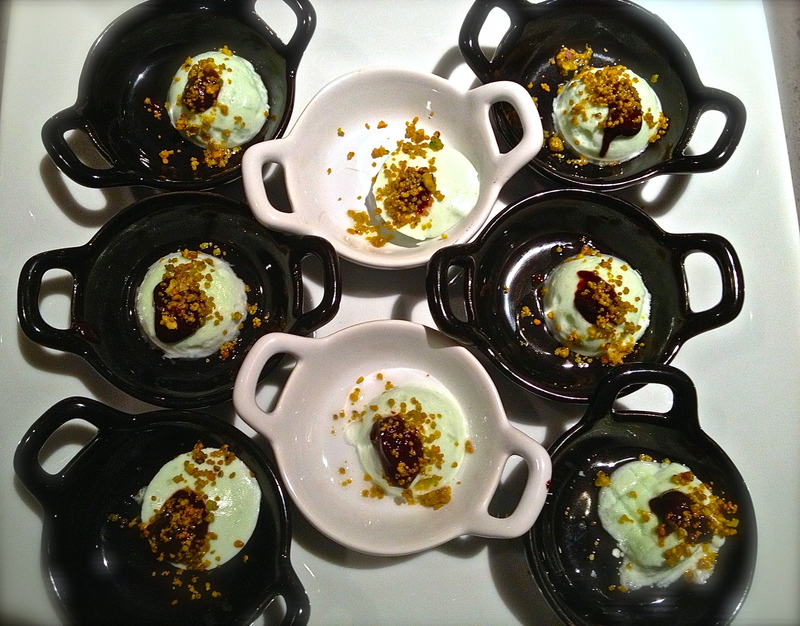 For example they served this dessert: smoked oak infused ice cream speared with a black cherry crisp (deconstructed and reassembled like the olives in your post) and those little beads filled with Bulleit bourbon that exploded in your mouth. Mercy! I have heard of the Catbird Seat! Love the idea of bourbon beads. Fascinating. I can’t say I’ve actually sampled this sort of cuisine, but I am certainly up for it! did a quick google for this topic in Philadelphia and you have quite a lot of options for a good night out! Interesting sounds like a great word to describe this. I’m always up for a new experience so I’d give it a go. Thanks for an in-depth peek into something I’d only heard about in passing. I really love the concept of salons as they do give us an in-depth look into something that we wouldn’t otherwise explore. This is cool. I’d love to talk with Josh for my podcast. This sounds like a lot of fun, Tammy. I’m improvising dinner right now–but nothing on the scale of what you enjoyed. Have never heard of this design-your-own-menu concept. How fortunate that you were able to do this. Yes, I also have a different culinary definition of improv! Yes, I’m with you Tandy. Taking an olive apart and then putting it back together wouldn’t be on my list of desired cooking skills but I really do appreciate that someone else is willing to do this. Oh how cool! This is something Heston Blumenthal does in the UK! Except I don;t think you can have tailor made menus in his restaurant. What an interesting evening you had! 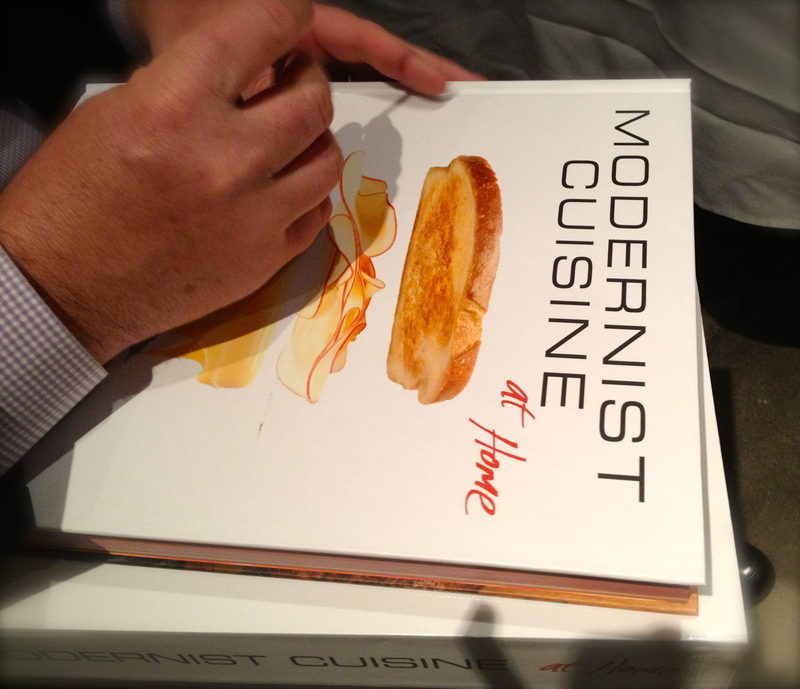 I have a feeling that he is the author or one of the authors of that Modernist Cuisine book. Very cool! Did you take the boys? What did they think? Could you sample the foods? What a cool program! I did not have my kids with me but I did do a bit of sampling. Yes, art and craft is a very good way to describe it. 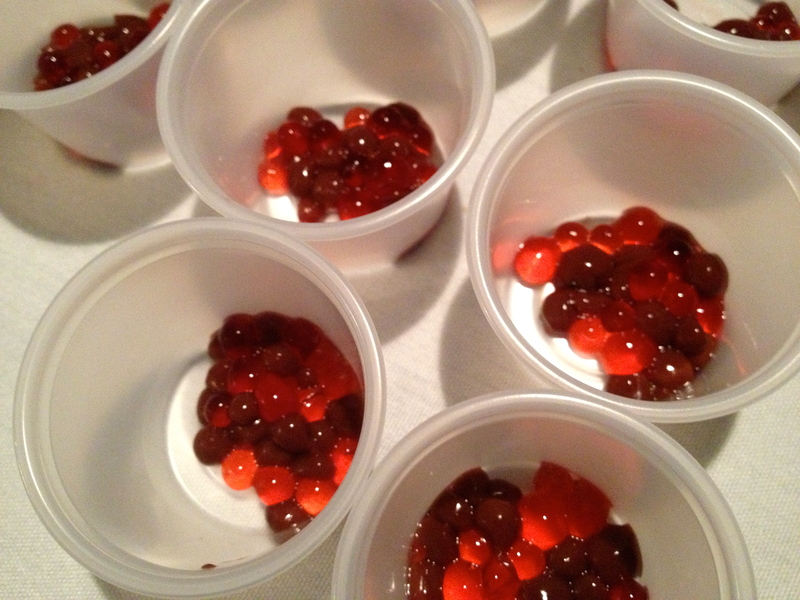 They do look like fish eggs for a moment but I’m glad that it is a dessert. I love sweets. they remind me of pearls they put on shakes and smoothies. My wife also make this dessert with coconut milk, jackfruit, sweet potatoes with pearls and they are so good. Happy New Year! Yes, they’re a bit like what we refer to as boba – those pearls. I have also seen this on the cooking channel…I’m sure it’s most impressive in person. I think it’s a grand way to make dining an entertaining experience all around! It’s completely entertaining – really a good night out and it would be a fun way to entertain. I have been to top Michelin starred restaurants who used this type of cooking. sometimes, we get fooled what we see on our plates & discover new foods this way. But I still prefer seasonal cooking & normal modern cooking & baking. But it is an experience & in some restaurants a real cool thing! Yes, a very fun experience for a special occasion and it is all seasonal but definitely not normal. It’s a terrific experience. Not sure where you live but you can google molecular gastronomy. I’ve heard of this but have never seen it with my own eyes or even tried it. Seems very fancy ! It’s very unique. I’m sure they have one somewhere in Germany but perhaps not in Heidelberg. Wow. Nice to get a snapshot from the Wild Side of culinary experimentation, Tammy. Far out. Far out is quite an appropriate expression. Thanks Toke. It’s good scrapbooking stuff, eh? Please check my latest post, Tammy…I’ve nominated you as one of the “Blog of the Year Awards for 2012″. Even if you don’t want to bother with awards, I’d like you to know how much I appreciate your work. You are so very kind Amy. Off to see what you’ve been up to! Although I`m also more of a slow foodie, I am fascinated with molecular gastronomy! I would never gravitate towards this style in my own cooking however we have a very innovative restaurant nearby and their chef uses these types of techniques. It certainly is an interesting dining experience! It is fascinating work and really a craft all of it’s own. Thanks for stopping by. I would actually play with them all day long. I’ve been seeing masterchef a lot and they use liquid nitro for making ice creams. This stuff is totally new…. Looks like I’ll spend hours in Google now trying to know about its chemical compos.